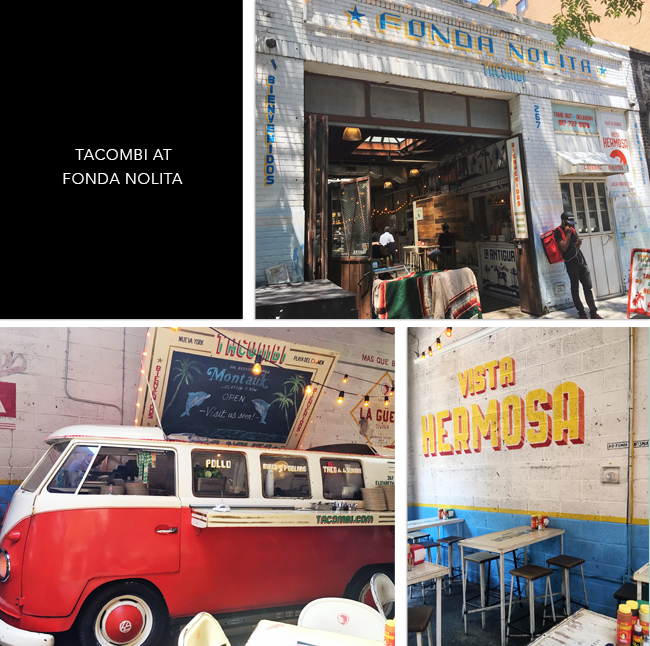 Located on Elizabeth Street in Nolita, Tacombi is one of those places that you notice as soon as you walk by. 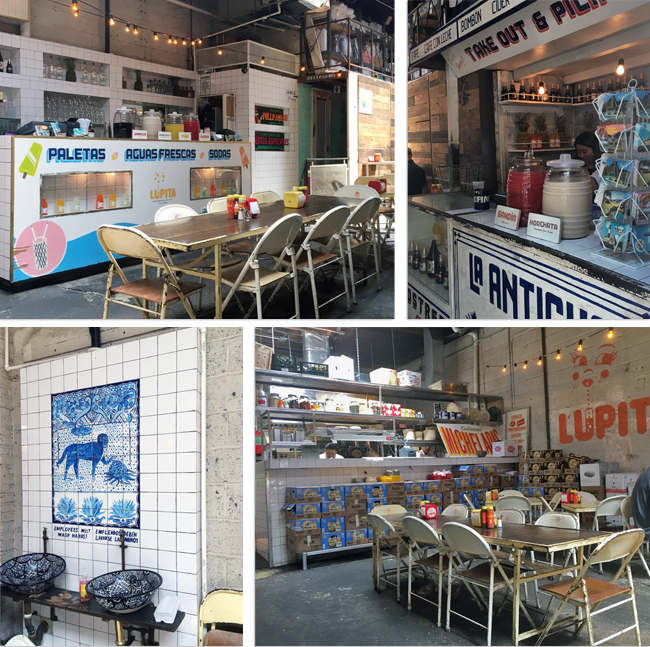 The breezy taquería which replicates a beachside operation originally launched in Playa del Carmen operates inside an open air space that was once a garage. Just like the original, a converted vintage VW bus also acts as a taco stand. It is the centerpiece to the colorfully and graphically decorated eatery which is meant to evoke a carefree beachy lifestyle. The Instagram worthy decor which provides much visual interest isn't really outfitted for comfort with foldout metal tables, chair and stools though it does aesthetically fit the theme. The straightforward menu consisting of traditional Mexican street food staples arrives on an order sheet which the customer marks up. Of course we had to start with the Guacamole con Totopos which is always a must whenever we have Mexican food. The guacamole had a smooth and creamy texture. It tasted fresh but the flavor was lacking and a touch bland. The Oaxacan tortilla chips had a nice crunch and were substantial enough to hold up the guacamole. We also ordered a variety of tacos. The standout had to be the Barbacoa Taco with roasted angus beef short rib which was juicy and packed with flavor. The Crispy Fish Taco featuring fresh tequila battered cod topped with cabbage was also good. We also had the Carnitas and Chorizo con Papas which were okay if not particularly memorable. This service was friendly and efficient. While it was a fun experience, I would probably not eat here again. 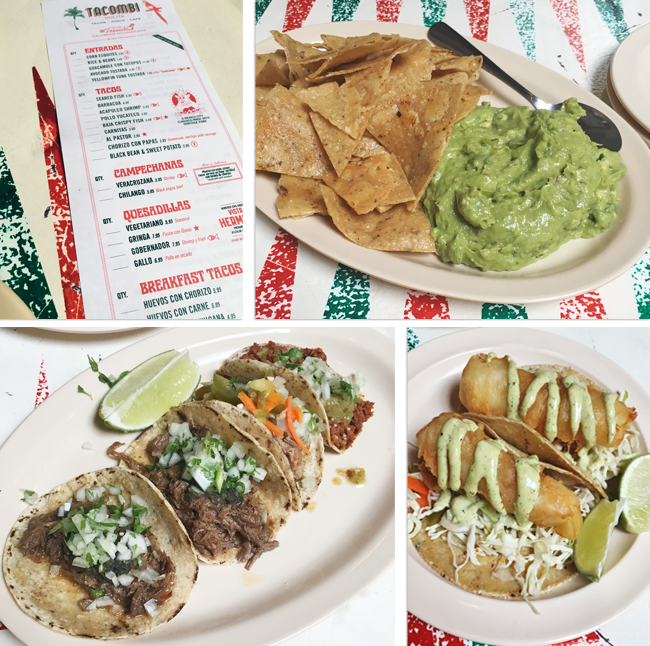 There are better Mexican restaurants where the food isn't as pricey for as little as you get. The tacos were tiny and we ended up spending over $50 with tip. And while the atmosphere was cool, I'd prefer to dine somewhere where my chair doesn't scrape the concrete floor every time I move. I do say this as someone who honestly doesn't mind dives as long as the food is good. Do you like Mexican food? What's your favorite dish? looks great! i love tacos and guacamole! The food look amazing and the places you found are tempting to go make a trip and try a bite great job in the finds. 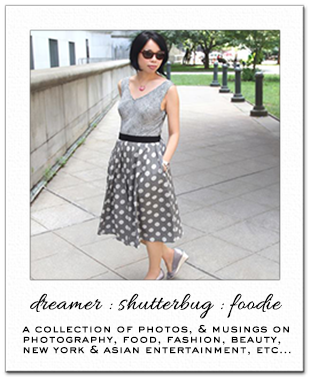 Such a cool place and this food sounds delicious! Anyhoo, thanks for the great and honest review as always! Interesting, I've only been to a pricey Mexican restaurant twice and both times they had white linen tablecloths, and I was still shocked to pay so much for this style of cuisine. But I agree, there seems to be better places around I am sure far less expensive and better portions, even food trucks! The décor here does look lovely and artsy! I would love to try it out. Tacombi seems like a great place...the food there looks yummy. How have you been? I've been absent for a while, health problems and what not. The food looks good! Too bad it was pricey. I do not eat enough Mexican food. OMG these tacos look amazing. I love the decor also, it’s so cute and fun. I’m going to check it out. Mmmm they look super delicious! The place is very cute! I am not the biggest fan of Mexican, so other than tacos and guacamole I haven't tried a lot. And while I appreciate an inspiring atmosphere, the quality of the food is what keps me coming back to a place. I guess I wouldn't return there either. I haven't tried too many mexican dishes outside of tacos, but this looks like a great place to try mexican food! Too bad the food wasn't tastier, because the space design is great. I would go here at least once just for that.